We will meet in Albany at noon, at the site of a proposed fracked-gas plant slated to power Empire State Plaza and hear from local residents on Sheridan Avenue. Then we will march to the Capitol building and peacefully walk through its doors. How did we go from congratulating Gov. Cuomo for banning fracking, vetoing the Port Ambrose LNG terminal and stopping two pipelines to storming his castle? Let’s back up to January 2017, when Cuomo declared, “The state must double down by investing in the fight against dirty fossil fuels and fracked gas from neighboring states.” This is precisely the kind of bold statement that continues to come from this administration sans action to make genuine, big-picture progress a reality. Just four months later Cuomo appeased his fossil fuel donors by playing right into the industry narrative that fracked gas is a necessary bridge to a renewable economy. “I don’t think you can get from here to there without using natural gas,” he told the Buffalo News. What happened to doubling down against fossil fuels? Record scratch! What happened to doubling down? Of course, we can start building a renewable energy future now without fracked gas. However, that will require a shake-up of our economic system, which feeds the power structure that supports Cuomo. In order to protect what’s most important to him, his donors and his liberal voter base, he’s opted to hide his contradictions in the closet. Let’s talk about what Cuomo’s energy system of the future really looks like: Gas, gas and more gas. Fracked gas in regions that Cuomo deems sacrifice zones. If we look at a map of the fracking infrastructure of New York State, it’s clear that we have a fracked gas problem. Transmission lines, frack waste dumps, storage and support infrastructure are expanding. All expansions must go through a state approval process. 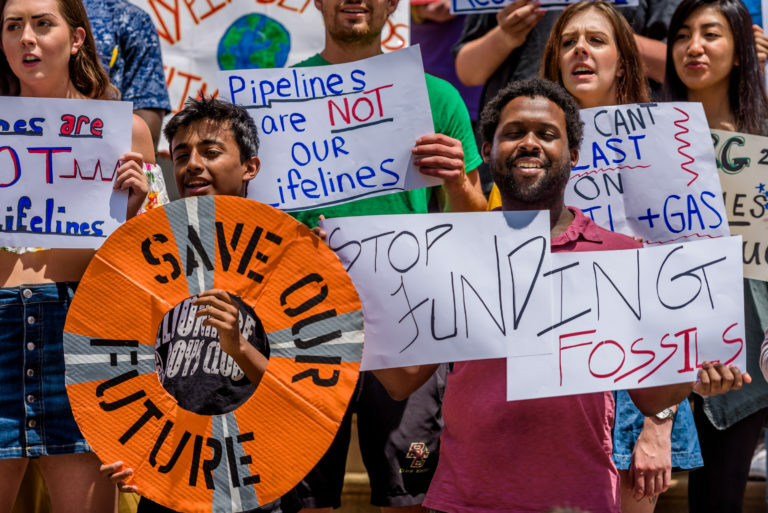 We’re elated for the successes our environmental movement has had pushing the governor to halt specific projects, but had it not been for our work to mobilize constituents he considers crucial to his reelection, he would have approved all of them. He continues to ignore local communities working to protect their health, safety and democracy from the fossil fuel industry in regions of the state he deems disposable. In Orange County, N.Y., Competitive Power Ventures (CPV) is currently constructing a fracked gas plant built on bribes from his recently-convicted top aide and childhood friend, Joseph Percoco. This plant is situated near the most fertile farmland in the state adjacent to an environmental justice community and a Native-American burial ground, to cite only a few of the most heinous attributes of this project. In Westchester County, due to immense public outcry, Cuomo finally mandated an independent risk assessment of the Spectra Energy-Enbridge Algonquin Pipeline that runs 105 feet from critical safety infrastructure at the decaying Indian Point nuclear power plant. 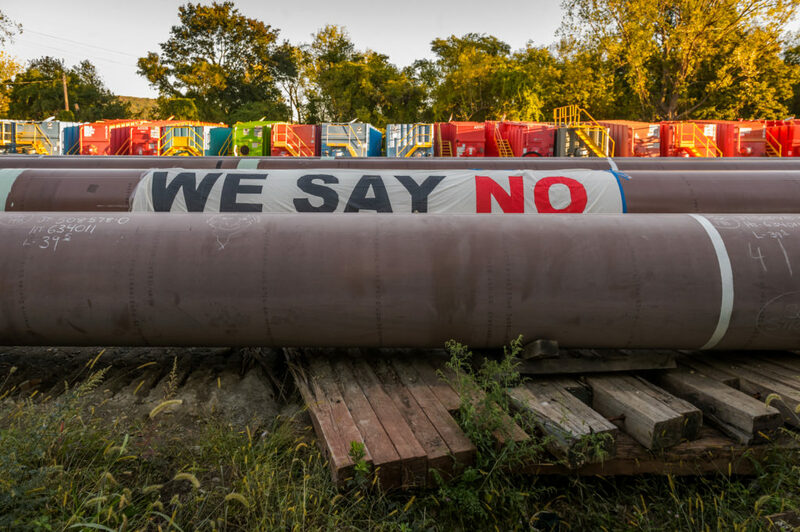 It has been over two years and Cuomo continues to ignore local residents’ requests to see the report, as well as pleas to shut down the pipeline for health and safety violations. Cuomo’s indifference to New Yorkers is echoed along the massive expansion of the Dominion pipeline that crosses nearly the entire state from the Southern Tier through Central New York and over to Dutchess County, where another power plant twice the size of CPV’s called Cricket Valley will continue to lock New Yorkers into a future of fossil fuels. Cuomo has proposed situating a fracked-gas power plant in Albany’s Sheridan Hollow neighborhood, a predominantly African-American community, in order to power the complex of government buildings at Empire State Plaza nearby. In New York City, gas boiler conversions are cheap and easy due to fossil fuel subsidies that disincentivize renewable options. And even as we see offshore wind coming to our shores, the Williams Pipeline Company is aiming to snake its way back into the Rockaways. How does Cuomo keep getting away with it? We can start building a renewable energy future now without fracked gas. To maintain his environmentalist facade, the governor launches flashy websites like rev.ny.gov. Reforming the Energy Vision (REV) is framed as a network of locally-owned renewable energy microgrids. Meanwhile, his policies drive capital to the same old power structure, creating another destructive pattern. 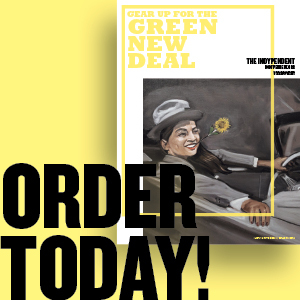 If we are to genuinely shift the system onto a renewable economy, we should shift our system of investments into renewables instead of using our renewable tax dollars to fund the fossil fuels in secret. Cuomo’s “Energy Czar,” Richard Kauffman, a former chair at Goldman Sachs, revealed the administration’s backstage reality in a February blog post, after New Yorkers, initially excited about the project, started asking why it was increasingly difficult to get renewable energy access. A message from activists on the Algonquin pipeline. Credit: Erik McGregor. While Governor Cuomo aims at climate hero status by making popular statements and congratulates himself for defying President Trump by announcing he will stand by the (very low-bar) Paris Climate Accord, his administration is busy figuring out how to continue to support the corporations that create climate destruction. That sure doesn’t sound like a reform of our energy system at all. It is crucial that we come together on April 23 to force Cuomo and others playing decision-making roles in Albany to take climate change seriously. We will carry our demands on hand-crafted signs with drummers and trumpeters at our side. We know we can succeed here in New York because we have a track record building movements that shift popular consensus. Gov. Cuomo is up for reelection this year. Now is the time to fight for our entire region to push for the required action to protect our lives and build a future worth living. Kim Fraczek is the director of Sane Energy Project, a New York State-based grassroots group working to defeat fracked-gas infrastructure and building community-led renewable alternatives. Learn more at saneenergy.org.